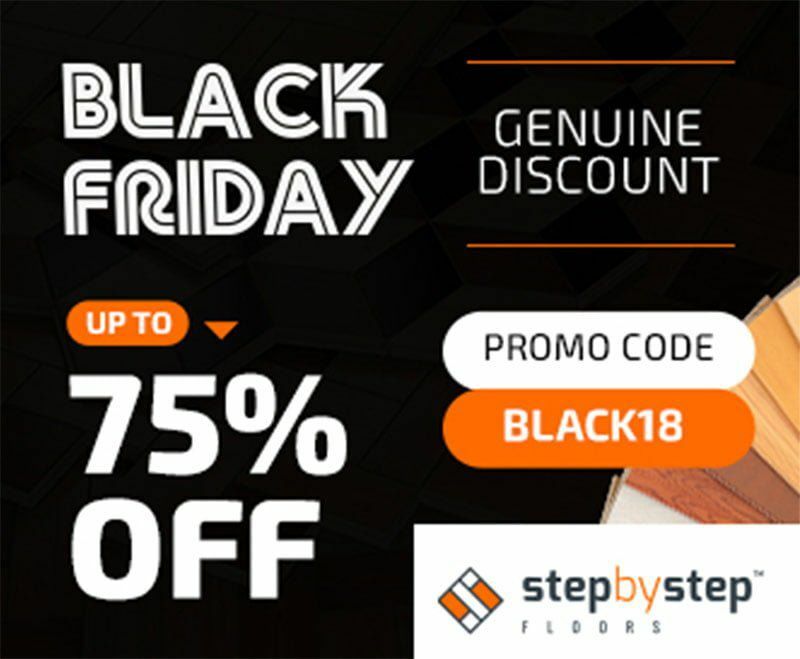 Step by Step™ Floors are a national reseller specialising in various types of flooring from laminate and engineered to solid wood and vinyl. 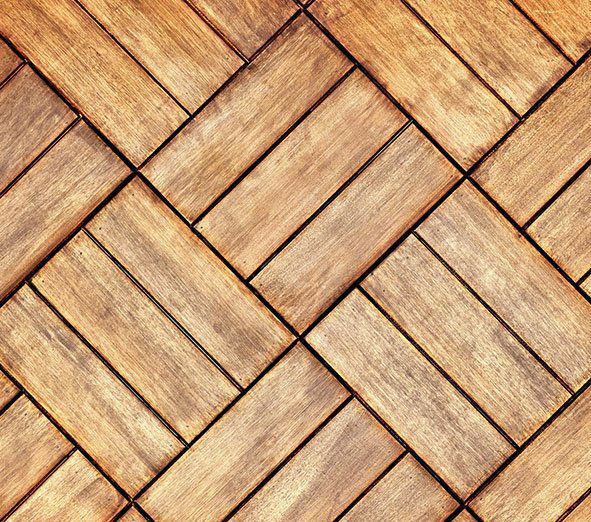 They also specialise in flooring accessories providing domestic and commercial customers with everything they need to switch out or add flooring to their property. 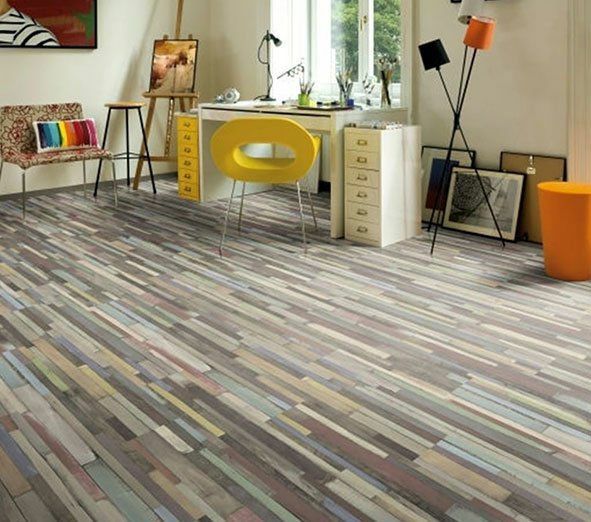 As a company, Step by Step™ Floors predominantly deals with B2C sales though also offers B2B options as well. 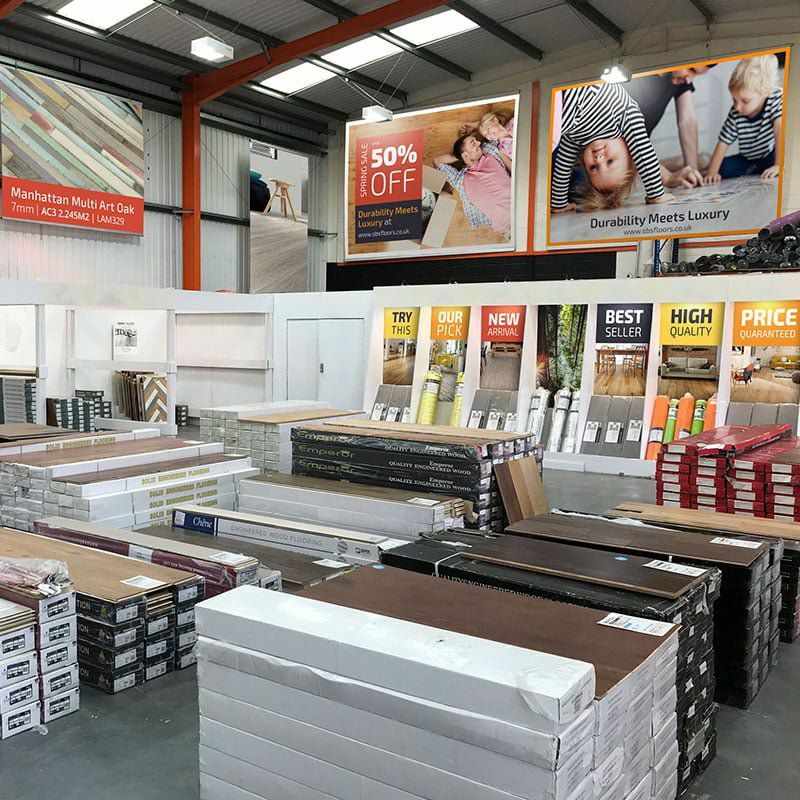 When Step by Step™ Floors first approached edirect, they weren’t a particularly well-established a company. As a new start-up, they were looking establish themselves with a website that would help to promote their brand. This website would also need to provide a reliable platform from which to market and sell their products. 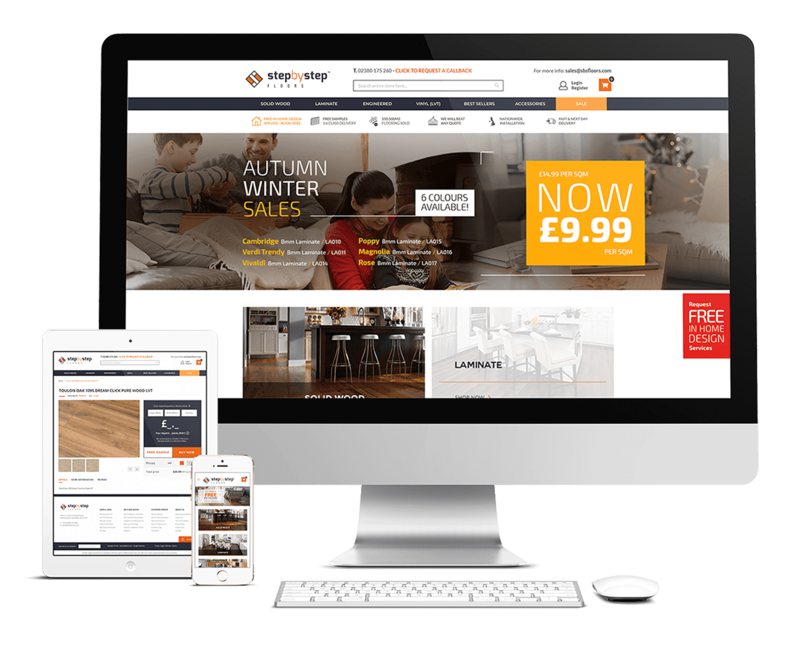 Step by Step™ Floors enlisted edirect to build them a customised E-Commerce website, and to advise them on how to kick-start their brand and begin selling via E-Commerce. Throughout the course of the project, we encountered various challenges for both the website, and the branding. These challenges meant that we had to adapt our approach and to change our methodology in order to facilitate the client’s requirements and exceed their expectations. For the branding, there were also challenges to overcome. As the client was a new start-up, we were obviously going to be competing with larger, more well-known brands. The challenge here was to make all the branding materials stand out. These materials had to promote the brand, setting it apart from the competition, all the while maintaining a friendly B2C feel. The first issue we encountered was with the custom flooring calculator. As one of several customised features, the challenge here was to get the calculator to work as expected when the customer input the length and width of their flooring. The calculator needed to be able to make accurate calculations quickly, and there also needed to be an option to override the calculator entirely. The next challenge was to design a system that would allow sales agents to build orders on the website over the phone. They would also need the ability to send the customer a payment link directly. Functionality for offers and promotions was requested too as was easy filtering to make navigating the site hassle-free. Edirect met these challenges head-on and built for Step by Step™ Floors a website that is easy to navigate. By making it simple and intuitive to get around the site, customers would be able to find what they were looking for with just a few mouse clicks rather than wading through menu after menu. Easy filtering was added allowing users to filter by product attributes within the category pages. This enables them to find the products they want a lot faster. A custom floor calculator was developed, integrated, and thoroughly tested. This calculator allows customers to specify the length and width of their floors and provides automatic calculations on how many packs are required. If customers wish to specify the number of packs that they require, there is an option to override the calculator entirely. Next, the client requested that the website support offers and promotions. We provided functionality that allowed for promotions to be clearly displayed and to ensure that voucher codes would be fully redeemable on the site. Finally, support for backend orders was added making it possible for sales agents to build orders on the website while on the phone. This also includes the option to send the payment link to customers. At edirect, we’re always happy to work with any client that is looking to switch up their branding or launch a new E-Commerce website. If you would like more information, give us a call today on 01202 798777.